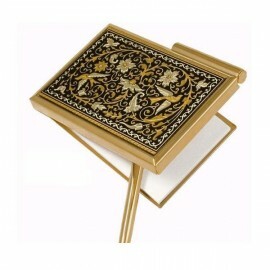 Damascene Gifts There are 6 products. 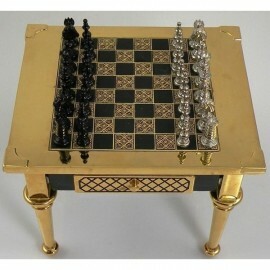 Medieval Gold Chess Set Light color. 24K gold damascene Chess set. Hand made travel chess set from Toledo Spain. Medieval gifts and collectibles. 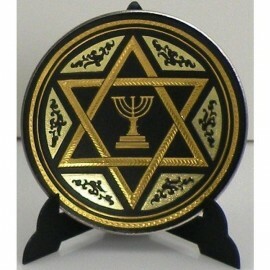 Damascene Gold Star of David Round Decorative Plate by Midas of Toledo Spain style 2936. Collectible plate with a damascene design. 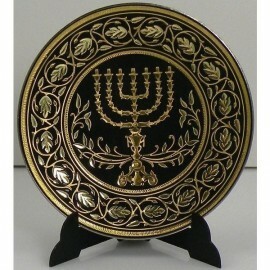 Damascene Gold Menorah Plate. Unique damascene design from Toledo Spain. Judaic collectibles and gifts. 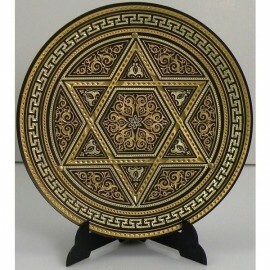 Damascene Gold Star of David Plate 2950-2. Damascene design by Midas Toledo Spain. Unique Judaic collectibles. Damascene Gift. 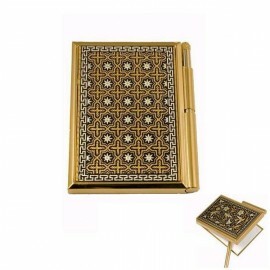 Damascene Gold Geometric Pocket Notepad Agenda by Midas of Toledo Spain style 8557.2. Unique damascene design.